The vacation fairies must have been reading my mind (or tracking my Google searches) because the Bermuda Department of Tourism (BDOT) breezed into town last week and held a luncheon to showcase their tropical island and their new tourism initiatives. The lunch was held at Asana in the Back Bay – which I’ve eaten at a few times before (due to its close proximity to my apartment). Needless to say, I was quite excited for this event – both for the food and the learning opportunity. The lunch began with a few remarks by William Griffith, the Director of BDOT. In all honesty, I had never considered going to Bermuda before since 1.) It seemed like a destination for old people 2.) There are cheaper alternatives – i.e. if I wanted to lie on a beach, I’d do it in Mexico sipping on $1 Coronas 3.) Lack of activities – my type A, always need to be active personality would probably go stir crazy lying on the beach for a week. However, upon hearing Mr. Griffith speak about how people of all ages and incomes vacation in Bermuda, the genuinely friendly locals, the myriad activities available (golf, spa, snorkeling, scenic tours, etc. ), and the excellent cuisine (both at the high and low end) had me reconsidering. When he mentioned that Bermuda was only a two hour plane ride away from NYC (and that Jet Blue was selling $149 round trip tickets) – perfect for a quick weekend trip, he had me sold! Even the lunch got me in a tropical island mood (such wily marketing!)! The first course was a Maine Lobster Salad, served with Papaya and a Thai vinaigrette. My long time readers know how much I dislike salads (I mean, why on earth would you eat the same thing you feed a rabbit?) - but luckily, the meaty and generously portioned lobster made up for the rawness of the leaves. I do want point out that although my lobster was clean and fresh, my fellow writer Simone’s lobster was not deveined – which was disappointing and pretty gross. Even more insulting, the waiter then tried to unsuccessfully pass off the “lobster excrements” as the salad dressing. No words. The second course I had was a Seared Filet Mignon drizzled in a Sherry sauce and served with an onion compote and a whisp of mashed potatoes. Although I was tempted to go with the more festive Banana Salsa George Bank Cod, the carnivore cave woman in me decided to go with the more traditional steak. Tender, buttery, and full of flavor – this was a very enjoyable dish. For dessert, I had a Rhum Baba (rum cake) with a side of vanilla cream and chopped passion fruits. A sweet ending to a sweet lunch! And now, if you will excuse me, I’m going to run a few miles to get swimsuit ready for the beach – see you on the island! Financefoodie.com, in conjunction with Tortuga Caribbean Rum Cakes, is giving one lucky reader their very own taste of Bermuda – a 32oz Rum Cake in your choice of flavor! I had sampled Tortuga’s cake at the Fancy Food Show last year and whoo wee – the cakes transported me off the (Manhattan) island and on to the (much more relaxing Caribbean) islands! Their cakes are moist and fluffy - and taste like they came straight from Grandmama's oven! Contest ended Monday June 28 at 5pm EST. Winners will be chosen via random integer generator on random.org announced on the financefoodie.com site shortly afterwards that night! The banana cake for me. Thanks! Following Tortuga on Twitter (traumajunky). Following you on Twitter (traumajunky). I would love to try the coconut! Definitely Coconut!! Thanks for the giveway. I would love to try either Key Lime or Coconut. I am a fan of Tortuga on Facebook. I Follow Tortuga on Twitter. I'd love to try the Blue Mountain Coffee flavor. I would like to try the key lime,I have some of their other flavors, and they are really good. I would like to try the chocolate rum cake! Your description of these Tortuga cakes has my mouth watering. I'd love to try the Coconut Rum Cake. and shared on FB too. I'd love to try the Coconut Rum Cake! Also following tortugarumco on twitter as ky2here1. Following finance foodie on twitter as ky2here1. Blue Mountain Coffee Large 33oz Rum Cake sounds fantastic. I would like to try the Chocolate Large 33oz Rum Cake. I would like to try cinnamon raisin. I want to try the banana cake. The Coconut or Pineapple cake sounds totally delicious! thanks for the chance to win! I'd like to try the pineapple, wonder if it has a pina colada taste with the rum cake. I'd like to try the Original...really, I'd like to try the Coconut but no one else in my family likes coconut (they're odd). I 'like' Tortuga Rum Cake Company on FB id: Deborah Rosen. I follow TortugaRumCo on Twitter @AsTheNight. Too bad they don't have a sampler, so I could try several flavors! They all sound delicious, guess I'll choose coconut since you liked it best. I follow Tortuga on Twitter as suebaby05. I follow financefoodie1 on twitter! i follow @tortuga on twitter. Coconut sounds divine! Rum and Coconut...how can that be bad?!?!? I tweeted about the lovely site, and contest! I'd love the Rum Fudge (Case of 6) ! I am following financefoodie1 on twitter as ptowngirl. The cinnamon raisin rum cake calls my name! I would love to try the Original Golden Large 33oz Rum Cake (with Walnuts)! Thanks for the chance! I have to say the Key Lime appeals to me the most. Wow! There are so many great things at the Tortuga Rum Company, Ltd., site! I would really like the Cinnamon Raisin Large 33oz Rum Cake. Yum! Too bad they don’t offer a turtle rum cake (pecans, caramel, and chocolate) since “tortuga” is Spanish for turtle! I'm following Tortuga Caribbean Rum Cakes on Twitter (@stowelljg). i would LOVE to try the cocanut! The coconut I would Love to try!! Coconut cake I would love to try! Since I am a chocoholic, that's what I'd love to try! Coconut sounds the best! I love all things Coconut! I would love to try the Pineapple Rum Cake. Chocolate is always my first choice, so since they have a chocolate one, easy decision. I've tried the original flavor and they are yummy. I would also like to try the Key Lime. Thanks for the giveaway. Banana of course! I love anything banana flavored especially banana smoothies haha I used to have a banana tree in my backyard but Hurricane Ike killed it :( I miss it so much! 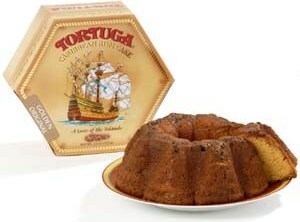 I love the Original Tortuga Rum Cake but would like to try the Chocolate Cake next. I'd most like to try the Key Lime Cake. I would love to try the Chocolate Rum Cake from Tortuga. I am a fan of Tortuga via Facebook as Jill Myrick. I am following Tortuga via Twitter as jlsc123. Chocolate would be my flavor of choice! I would like to try the chocolate rum cake. I want to try the pineapple rum cake. Thanks! The Pineapple cake I picked since I love anything pineapple. I Become a fan of Tortuga on Facebook. I would love Chocolate Large 33oz Rum Cake. It sounds decadent. Kathy N Scott likes Tortuga on facebook. I think I'd like to try the pineapple---that combined with rum sounds very summery to me. I have to go with banana...yum! I'd like to try the Original Golden Rum Cake with Walnuts. I think the Chocolate Large 33oz Rum Cake sounds delicious. Coconut or Chocolate. Both sound good! I would most like to try the Coconut Rum Cake. I follow Tortuga on Twitter (username MissJo1990). I would love to try Tortuga Rum Company's Chocolate Rum cake, thanks! I'd love to try the key lime flavor! I want to try the coconut cake! The Blue Mountain Coffee flavor sounds so good tonight, but I expect tomorrow the coconut would win out. Key Lime sounds yummy to me! I'd love to try the Lime. And I went to Bermuda for my honeymoon and it was GREAT! So go! I would love the Blue Mountain Coffee Cake. I want to try their key lime!